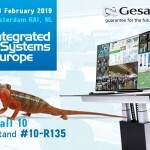 The world premiere of ACTEA, the most advanced ergonomic control console for control room and command centers, ended at ISE Europe 2015. GESAB and Barco have created a unique space where ACTEA has been the protagonist. 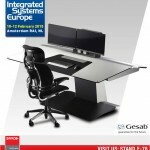 With a fully functional configuration of 3 monitors, visitors could see the quality and versatility of this control console created to unite in a single concept design and technology with maximum ergonomics. As in previous presentations that have been made both in the United States, Spain or Arab Emirates, the response of the audience was more than satisfactory. 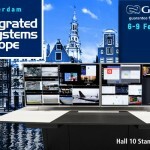 Definitely ACTEA has created a new line of control consoles and technical furniture with a unique design that combines amazing features, both cable management through its central column, adaptability to any operator and user experience. Certainly the launch of ACTEA has been successful globally and has not left anyone indifferent. Now you can learn more about the latest control console 24/7. 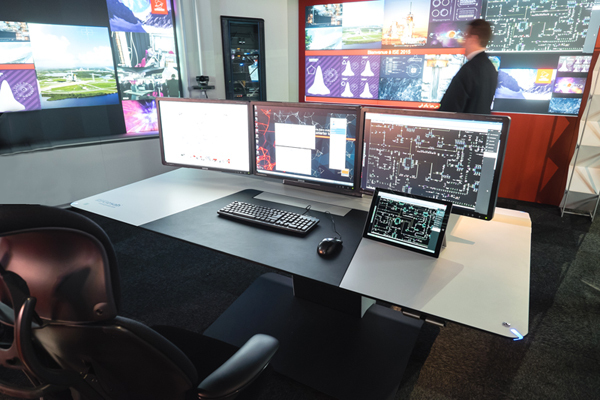 Click here and find out why it has revolutionized the market for control rooms.